If you want to backup iPad to external hard drive on PC or Mac easily, this guide will tell you how to make it with a step-by-step tutorial. Download this powerful tool prior to save your time and then follow this guide to backup iPad to external hard drive on PC/Mac computer in minutes. Through our survey, over 79% iPhone users rely iPhone / iTunes / iCloud to store their important personal data. In order to help you extract useful photos, messages, notes and more from your backup, we composed this 2016 iPhone Backup Extractor Software Review for your reference. Regularly backing up your iPad is a good habit. It can be a lifesaver if your iPad run into any problems, such as mistaken deletion, failed iOS upgrade, or other unexpected reasons. But due to the limited storage space of computer, you probably cannot backup all the data of your iPad to computer. At this moment, you may think about backing up your iPad to external hard drive. However, as we all know, you just cannot transfer your iPad data to external hard drive directly. Is there any method to solve this problem? The answer is definitely Yes. Thanks to AnyTrans for iOS, a professional iOS data manager can help you make it without effort. Just keep reading to get it. Keep in mind that, one small accident, a virus, or hard drive failure can destroy all the important data on your computer. Don’t even count on your local backups as they won’t help in the common scenarios of your computer getting lost or stolen or damaged. Follow this detailed tutorial to backup Windows 10 to external hard drive (also learn how to backup Windows 7 to external hard drive). AnyTrans for iOS, an easy-to-use iOS data manager is all you need to backup iPad to external hard drive on PC or Mac computer. 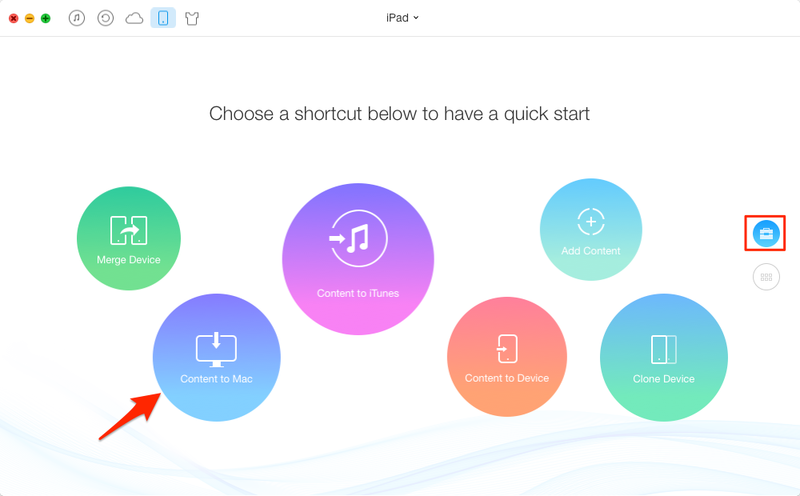 It can help you backup the most important iPad data, like music, photos, videos, books and more. It allows you to preview and select the data you want to backup as per your needs. It enables you to transfer data from computer to iPad without data loss, and even from iPad to another iDevice directly. Want to give it a try? 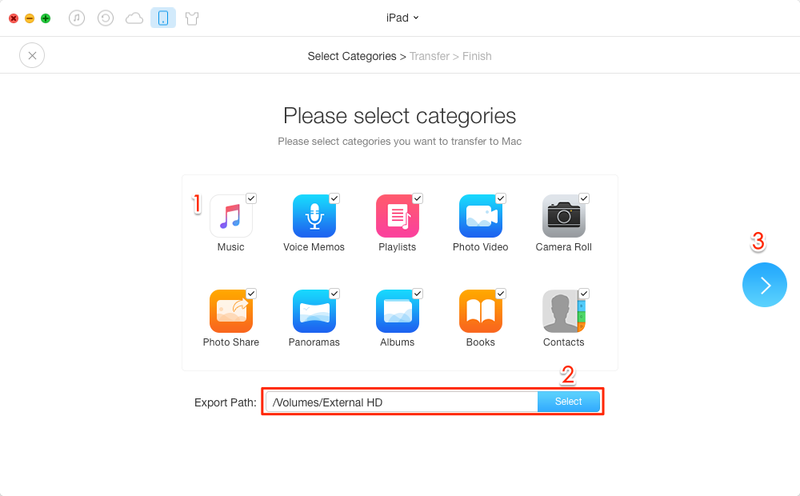 Click here to download AnyTrans for iOS and follow the steps below to backup iPad to external hard drive. Step 1: Launch AnyTrans for iOS > Connect your iPad to computer > Plug in your external hard drive. Step 2: Click on Content to PC/Mac button on the homepage. Step 3: Select the data you want to backup > Click on the Select button to set your external hard drive as the destination > Click on Start Transfer. Note: You can also preview and select the data you need, here take backup iPad photos for example. Click on Photos > Select one album > Choose the pictures you want to backup > Click on To Computer button > Select the external hard drive as destination > Click on Open. 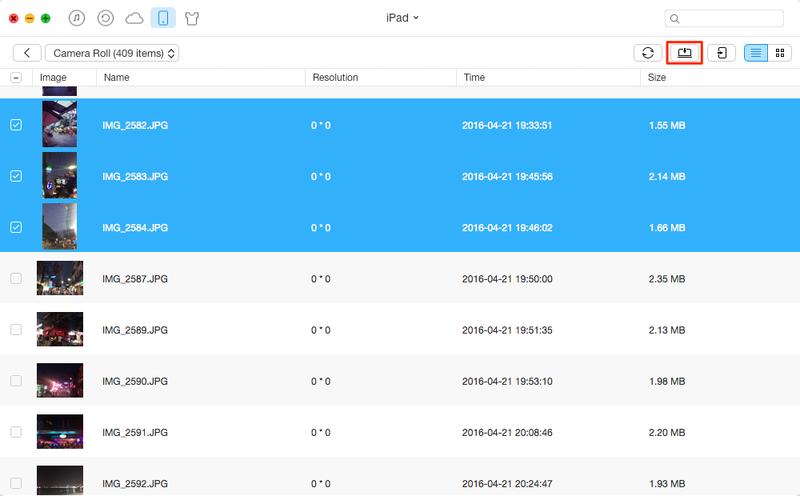 AnyTrans for iOS can be your good helper in managing your iPad data, so why not give it a free try? If you have any questions on this guide or AnyTrans for iOS, please feel free to contact us via email. We will reply to you as early as possible.